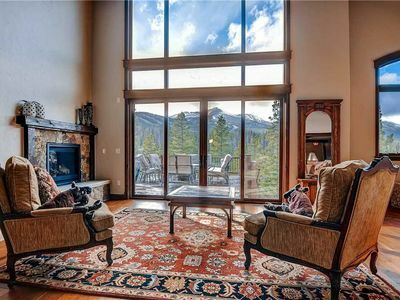 This exquisite luxury vacation home combines extraordinary function and design with an idyllic location in the heart of the Rocky Mountains of Colorado. 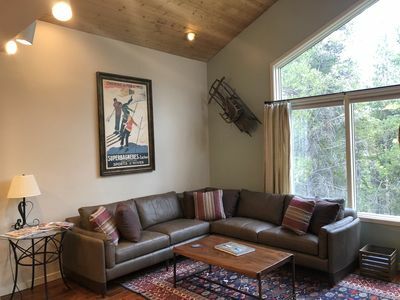 This ski in, ski out home provides guests with the feel of a tranquil mountain getaway, while being located less than 2 miles from the shopping and restaurants that await on Breckenridge's historic Main Street. 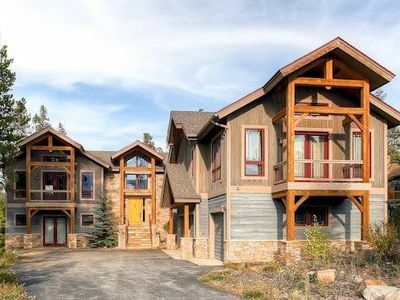 This home offers the perfect retreat for guests hoping to explore all that Breckenridge has to offer in both the summer and winter seasons. You and your guests will surely enjoy the endless outdoor living and entertaining options available to you on one of the home's three adjoining decks. 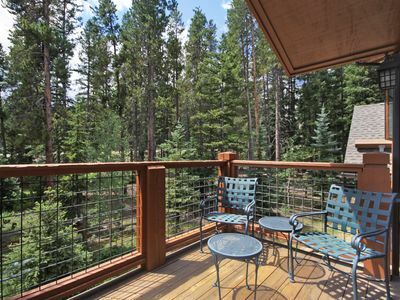 Enjoy hosting a BBQ for family and friends while you take in the expansive views of the Breckenridge Ski Area. Or, you may prefer to relish the sanctity of nature while gathered around the large outdoor fire pit as you sip your favorite aprŠs ski beverage. End your perfect mountain day by relaxing in your private outdoor hot tub. This home has undergone a full remodel that was completed in July of 2016. You and your guests will surely appreciate the thoughtfulness and attention to detail afforded in the redesign of this home. 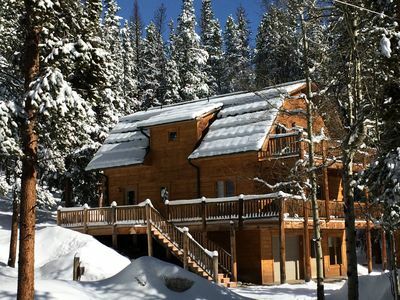 Perfect for families with children, a gathering of friends, or small wedding guests, this home provides everything required to ensure you are able to maximize the time spent on your well-deserved mountain getaway. Six bedrooms and 6.5 baths await the 17+ guests who book this luxury retreat. With one upper and one lower entrance, there are master suites on each level to accommodate guests of all ages and abilities. Enter the home on the upper level through the 2-car garage, or the main entrance. 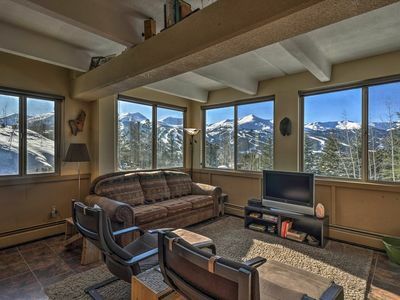 Your eye is immediately drawn to the impressive views of the ski slopes through the floor to ceiling windows. The first master bedroom located on this level provides a king bed. 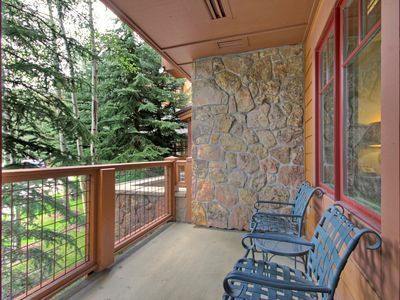 Take in the views of nature from your bed, or breathe in the fresh mountain air from your attached balcony. 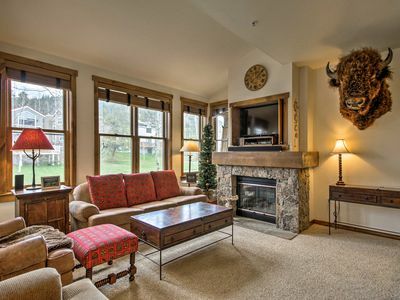 Cozy up in the oversized leather chair while taking in the views or while reading in front of your private gas fireplace. This master has an en suite bathroom with dual sinks, a jetted tub and shower. The second master bedroom on this level also provides guests with a king bed and attached bathroom with dual sinks and a walk-in shower. A crib has also been provided to guests staying in this bedroom.Walk downstairs to access the main living level.The living room is bright and well-appointed, complete with several sitting areas to accommodate both large and small groups. 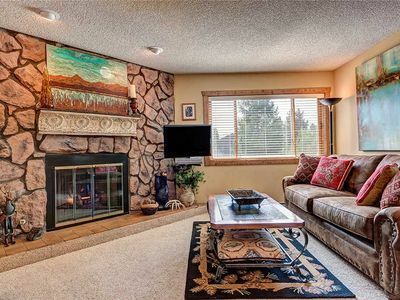 Relax on the leather sofas in front of the large flat screen TV or gas fireplace in this luxurious, yet cozy area of the home. Walking down a few stairs leads you to the lower level entrance and second living area / game room. 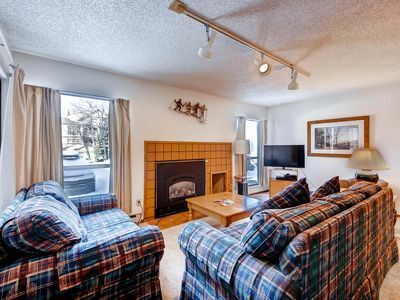 This room boasts a large flat screen television and gas fireplace. The wet bar is equipped with seating for 4, a wine refrigerator and stand-alone ice maker and additional dishwasher ~ a perfect area for entertaining. 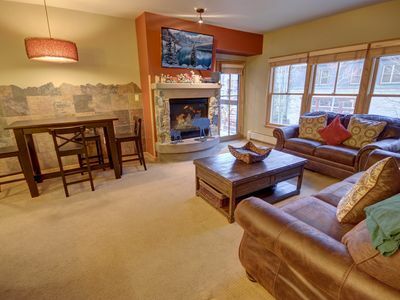 A 3rd bedroom suite is located just a few steps up from the lower level entry and game room. This bedroom is perfect for guests who prefer to navigate as few steps as possible, as it has a flat screen television, an en suite bathroom with dual sinks, and access to the main level deck, kitchen and main living area with only a few steps to climb in between. This bedroom has a queen bed. The kitchen has an attached formal dining table that accommodates up to 12 guests and makes a great setting in which to make announcements, share special news, or simply catch up with your loved ones. The kitchen boasts a granite sectional center island with sturdy chairs that seat 4 and a built-in gas range. This kitchen is supplied with a dual oven, open floor plan and additional counter space in the attached dining room ensure you have everything you need to host a gathering, entertain, or simply enjoy a night in. There is a half bath located on this level, along with a clothes washer and dryer. The lower level of the home affords three additioal bedrooms, and has been well-planned for children and young-adults. 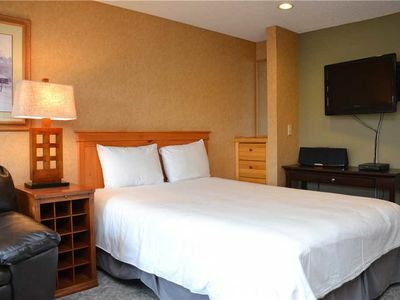 This lower level provides guests with an additional clothes washer and dryer. 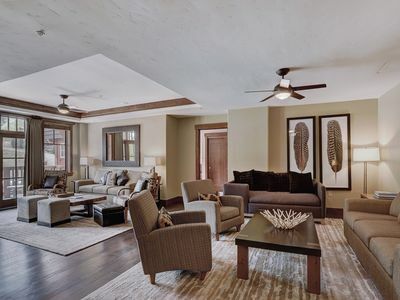 The living area provides an open space for children to play games, expend extra energy on a rainy day, watch a movie on the large flat screen TV, or play games on the home's Play Station and X-box. This level has a large flat screen television in the living area, and offers additional sleeping accommodations with an ottoman the folds out into a twin bed. 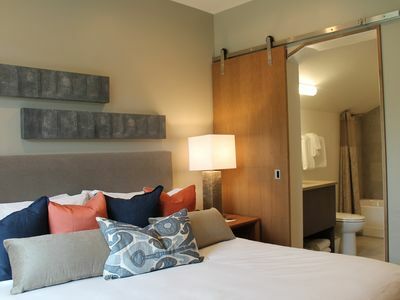 The first bedroom on the lower level offers a king bed and attached bathroom. This well-planned room comes equipped with blackout shades, offering the perfect mid-day escape or nap room for children. The second bedroom on this lower level provides guests with a queen bed and attached bathroom.The third bedroom offers 3 sets of twin bunk beds that will accommodate 6. The attached bathroom has dual sinks and a bath tub with shower curtain for ease of bathing young children. 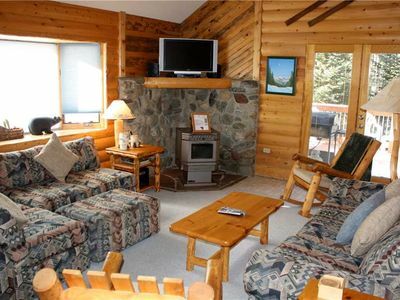 The home offers 2 Pack and Plays for guests and provides parking accommodations for 6 mid-sized vehicles. Contact Wyndham Vacation Rentals today for assistance booking your dream vacation. 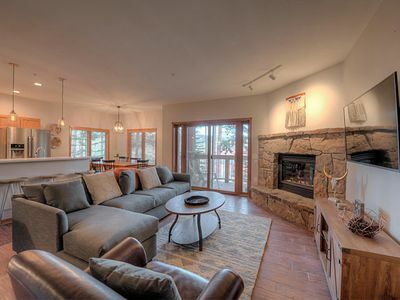 Your luxury Breckenridge retreat awaits! This unit has parking for six vehicles. A $1000 Security Deposit is required at Check-In. 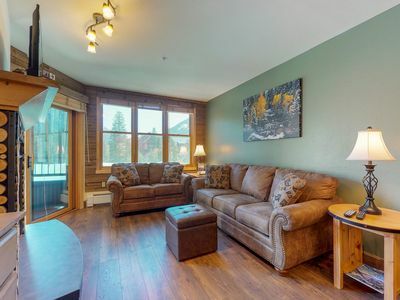 2 bdrm spacious condo, Bike-in, 1 block from the gondola/downtown! 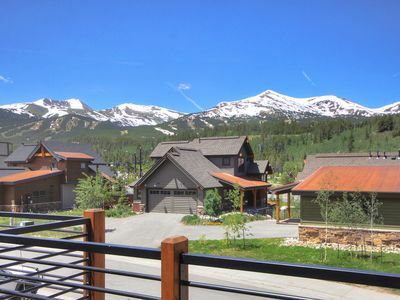 Brand New Luxury Townhome with Designer Interior and Views of Breckenridge! NEW LISTING! 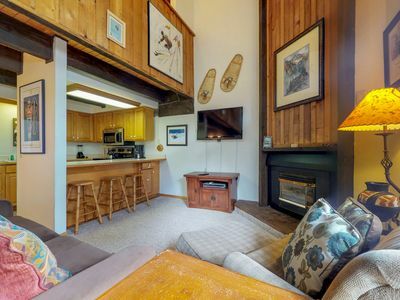 Ski-in/ski-out condo with shared sauna, hot tub, pool, and more! 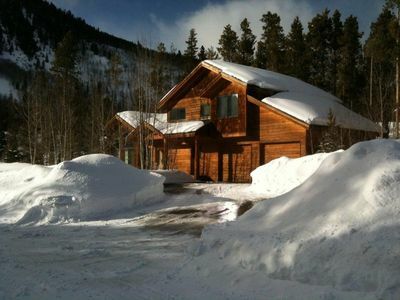 Ski-in/Ski-out Peak 8 Resort - 1 Bedroom w/kitchenette - BRAND NEW! 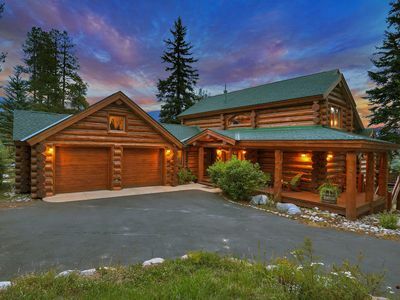 Gorgeous award-winning log home with 4 en-suites overlooking Swan Mountain and Baldy Peak.